Sadly, after six wonderful years, it's time for me to step down as Bombshell Stamps' Design Team Captain. It has been my privilege and honor to work with so many creative, dedicated, loyal, warm hearted, funny, and dependable women on this team. It's been particularly gratifying to watch these women, my Bombshell Girls and Pin-Ups, grow and develop their artistry and confidence. I thank you and salute you all. Shannon, it has been a pleasure to work with you and use your wonderful images. Thank you to you as well. Au revoir and smooth sailing! Hello Bombshell Fans! It's the final Monday of the month, so this is the last installment of the September Muse Monday featuring Madonna Woodcut. Each month, we feature a different Bombshell Stamp set, and put it on sale! Here's a look at the entire set. Hurry and purchase yours before October begins! Here's what some of our Design Team created for your viewing pleasure. Hi there guys. Here is a reminder to partake in this months Ms. September Bombshell Challenge which is polka dots and Glitter - SO MUCH GLITTER. (Yes I LOVE that Target commercial. LOVE). 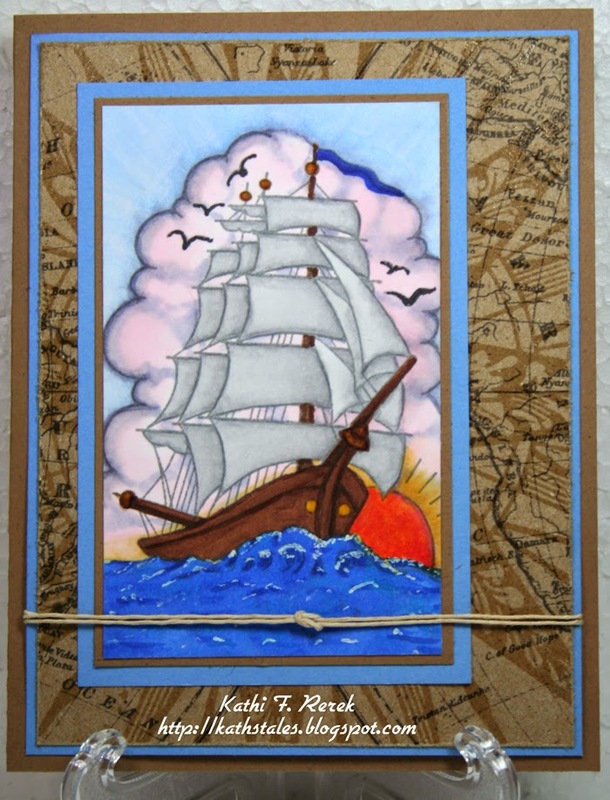 I added some lovely embellishments after putting the card together to match the golden colors. Little tea cup with my take on a tea leaf (lol) and flying bird. I hope that you all take a chance to play with the Bombshell Challenge this month. We also have a sketch challenge going on too. Take some time and play along. 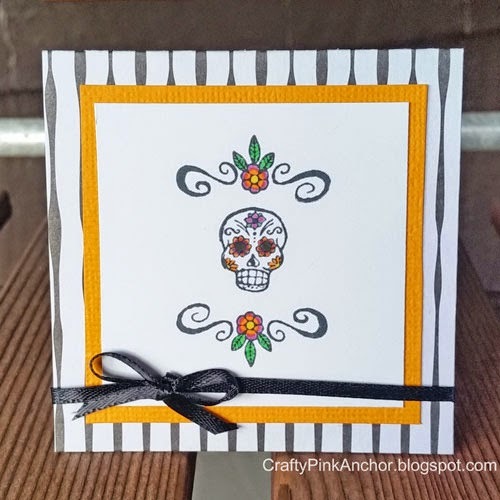 Kim here sharing a card I made using the Sugar Daddy stamp set. Hello Bombshell fans! All month long, we have been featuring a very unique set from Bombshell Stamps. It's Madonna Woodcut, and I hope you have been getting inspired by our DT's projects. Remember, this set is on sale all month long, so be sure to pick it up! Here's what some of the team created today. Hello! 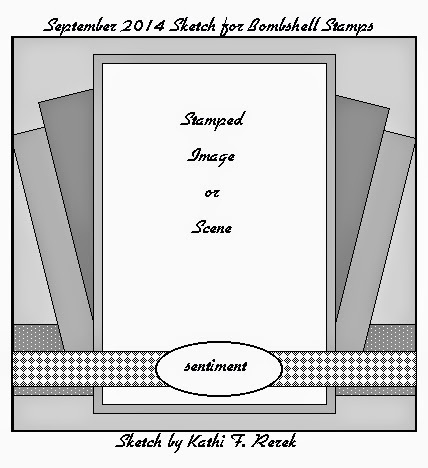 It's time for the 3rd installment of the August Bombshell Stamps Muse Monday. 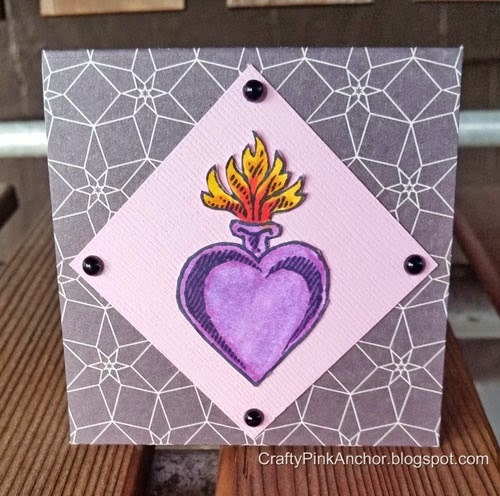 Every Monday, we will be showing off some fun projects using this month' chosen set, Madonna Woodcut. Plus, the set is on sale for the month of August too! So if you don't have it yet, be sure to get it now. What's the DT made this week? Let's have a look! Good Morning, Marnie here with a tutorial using Pan Pastels and Versamark Ink. I love how versatile the Pan Pastels are and how vibrant the color. 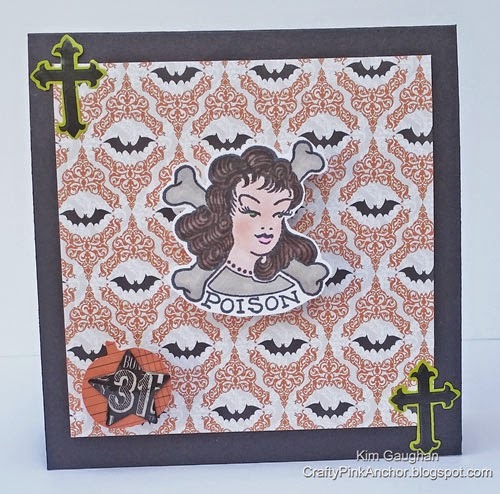 For this tutorial I am using the Bombshell Stamp Sets Holiday Accessories and Tattoo Backgrounds. I adore the Halloween images in both of these. I also have some papers to match my pastels and a soft brush. First stamp the spider web from Tattoo Backgrounds onto white with Versamark Ink. Gently brush the Pastel over the web and it will magically appear. Isn't it super cool looking? With a tissue or soft cloth brush the excess chalk off. Next stamp the spider from the Tattoo Backgrounds on top of the Web and brush the pastels over it. I love how it pops up! Don't forget to brush away the excess with a soft cloth or tissue. For the background stamp the bats from Holiday Accessories onto the background paper. And brush the pastels over it. Brush away the excess pastels again. You can set your pastels with a fixative. Now cut the pieces and layer onto the card. Happy Friday Thank you for stopping by to check out the tutorial. Feel free to take the sketch, flip it, flop it, and make it your own. The only rules are to use the sketch in some recognizable way and to have fun. Enter your project below for the chance to win a fabulous prize. You don't have to use Bombshell's stamps, but if you do, you'll get an additional chance to win!Use the Inlinkz below to share your project with us! Here are the Design Team's takes on the sketch! The August Challenge winner is AJ, as chosen by Random.org, with her take on the August Pin-Up Challenge! Beautiful easel card AJ!!! 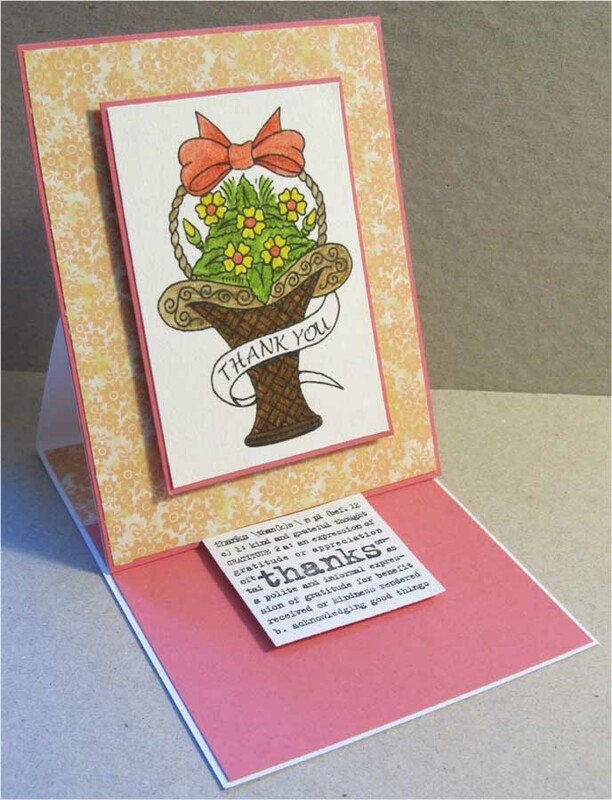 She used the Bouquet Basket Digital Stamp, which is available for Free to Bombshell Stamps newsletter subscribers. Our Prize Patrol Winner is Dawn (LilyPinkScraps)! 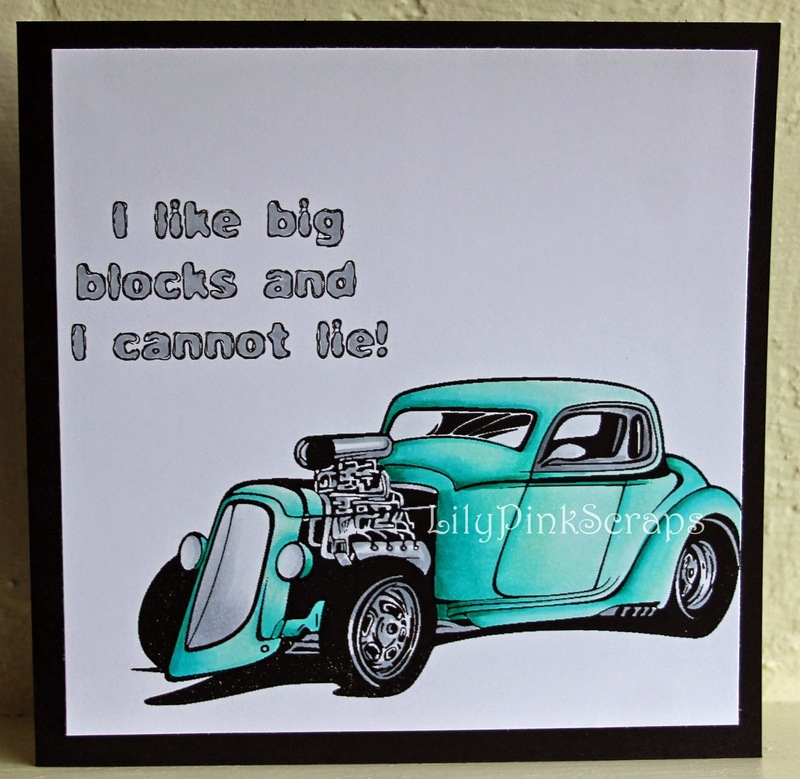 She used the King of the Road Digital Stamp to create this fabulous card! Awesome card Dawn and great coloring!! Congrats AJ and Dawn! 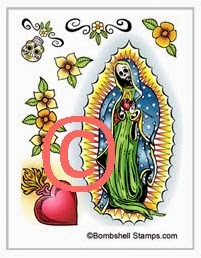 You have won a $20 discount code to the Bombshell Stamps store. Please contact me at CraftyPinkAnchor [at] gmail.com if you haven't heard from me already for your discount code. Want a chance to win your own stamp set?! Check back all this month for our September Challenges! Play along, link up your take on the challenges and you will get a chance to win your very own Bombshell Stamps set. You can use any stamp to play along, but if you use Bombshell Stamps you will get 2 chances to win! So come play along! Greetings! It's time for Week 2 of the August Bombshell Stamps Muse Monday. This month, we are featuring the perfect-for-guys set, Madonna Woodcut. Do you have this set? If not, then this is the time to get it because it will be on sale for the entire month! Check out what some of the Bombshell Babes have made this week. 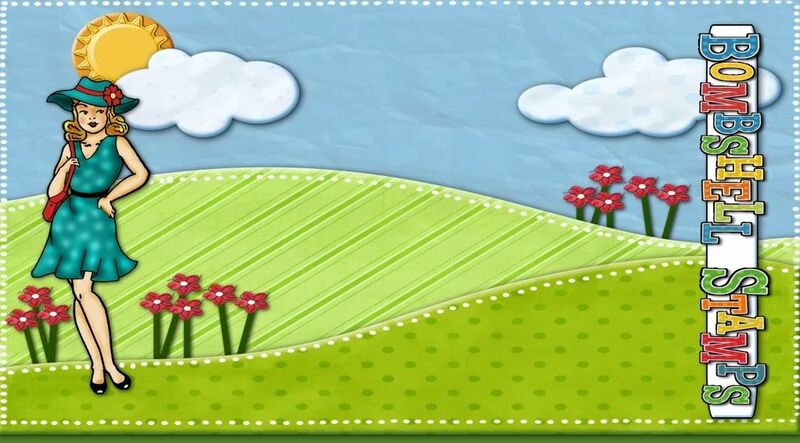 Paper Piecing with DIGITAL stamps! All images are the property of the Bombshell Designers and Bombshell Stamps. Powered by Blogger.